Tesla is making a not-so-secret move into home and grid electric storage. Look for an announcement in the news late thursday/early friday. Storage batteries could become a huge business because they solve a big problem related to renewable energy. Sure, rooftop solar cells generate juice during the sunny afternoon, but what about the evening? The extra energy can be stored in batteries to power homes and businesses after the sun goes down. Demand will be helped along by a California Public Utilities Commission mandate that generators of electric power have stationary storage units. Tesla CEO Elon Musk is also chairman of Solar City, a solar energy provider, which now also offers stationary battery units. Solar City says it has sold 300 units already this year. For US Utilities, this ratchets up the pressure for any company that still clings to the past, and their pre-eminent position as electric providers. Not only are businesses, households, farms and municipalities getting more choices for generating and storing power, they are generally using less of it to do more. Household usage, despite the expanding number of gizmos and gadgets, has been near flat now for several years, and is projected to stay that way. U.S. energy consumption has slowed recently and is not anticipated to return to growth levels seen in the second half of the 20th century. EIA’s Reference case projections in the Annual Energy Outlook 2015 (AEO2015) show that domestic consumption is expected to grow at a modest 0.3% per year through 2040, less than half the rate of population growth. Energy used in homes is essentially flat, and transportation consumption will decline slightly, meaning that energy consumption growth will be concentrated in U.S. businesses and industries. Near-zero growth in energy consumption is a recent phenomenon, and there is substantial uncertainty about the main drivers of consumption as the United States continues to recover from the latest economic recession and resumes more normal economic growth. EIA’s analysis in the AEO2015 includes several cases with various assumptions about macroeconomic growth, world oil prices, and domestic energy resource availability. 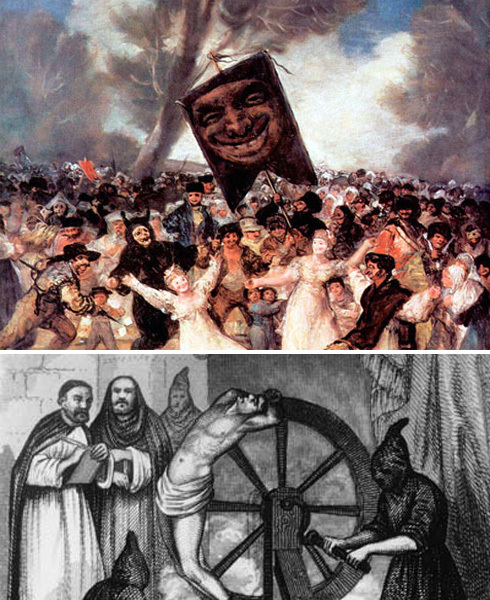 As the Catholic Church accepts guidance from Science and moves into the 21st Century, the US Congress heads for the Dark Ages. A Senate committee has advanced legislation that would change how the Environmental Protection Agency uses science to craft regulations intended to protect the environment and public health, the Hill reported Tuesday. On party line votes, the Senate Environment and Public Works Committee voted 11-9 to approve the “Secret Science Reform Act,” a bill to prohibit the EPA from using science that includes private data, or data that can’t be easily reproduced. The bill has been pushed strongly by House Republicans for the last two years, but this is the first time it has been advanced by the Senate. It is sponsored by Sen. John Barrasso (R-WY). The purpose of the Secret Science bill, according to its House sponsor Rep. Lamar Smith (R-TX), is to stop “hidden and flawed” science from being the basis of EPA regulations. However, many scientific organizations have disagreed with this characterization. For example, approximately 50 scientific societies and universities said the bill would prohibit the EPA from using many large-scale public health studies, because their data “could not realistically be reproduced.” In addition, many studies use private medical data, trade secrets, and industry data that cannot legally be made public. Republicans in support of the bill have countered that the EPA could still use data within the studies without disclosing personal information or trade secrets. But it wouldn’t be cheap for those studies to meet the bill’s requirements, according to the Congressional Budget Office (CBO). The CBO reported last year that the EPA relies on approximately 50,000 scientific studies to craft its regulations per year, and that meeting the goals of the “Secret Science” bill would cost between $10,000 and $30,000 per study. Above, a CBS report from several months ago that I really can’t find anything wrong with. It is straight up, reporting, no false balance BS, the kind of reporting that might have made a difference, had it been initiated and consistent from, oh, 25 years ago. But, for now, we’ll take it. More please. I posted an outdated piece from Fairness and Accuracy in Reporting suggesting that a new head of National Public Radio might have been compromised in his views of climate science. That individual has already been replaced. See Here. The editorial excerpted below from the Louisville Courier Journal is a perfect illustration of why climate deniers are freaking out about the Pope’s imminent Encyclical on Climate Change. Some of the greatest barriers to climate awareness are not the scientific ones, but emotional and visceral among a large number of otherwise good people. Leadership from the Pope, and representatives of other traditions, is a growing force for affirmative action on climate change. The Church got it catastrophically wrong that time with Galileo 500 years ago, and they are still trying to live it down. Today, with a world class Pontifical Academy of Sciences, the Pope is receiving the right kind of advice. The Flat Earthers won’t win this time around. The Roman Catholic Church hasn’t always been on the right side of science. It’s yet to live down the 1633 condemnation of the Italian astronomer Galileo for correctly arguing that the sun, not the Earth, is the center of solar system — a colossal miscalculation the Vatican spent the ensuing centuries trying to put right. But a new development in Rome puts the Catholic Church squarely at the forefront of the latest science on climate change and global warming. The church is teaming up with the United Nations to alert the world to the growing crisis of climate change, a partnership on display Tuesday at the opening of a Vatican conference on the environment. Climate change deniers are about to encounter a powerful new obstacle: Pope Francis. The mild-mannered, bespectacled pontiff likely will rock the world later this year through the release of an encyclical, a sort of papal position paper, in which he is expected to state that global warming is real, is caused by human activity and — his chief concern — will have the most severe impact on the poor, The New York Times reported Tuesday. 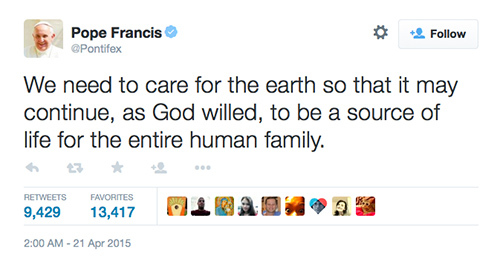 Pope Francis, like many politicians — some from Kentucky — is not a scientist. That’s the common dodge politicians use to avoid acknowledging the harmful environmental impact of hugely profitable fuels such as coal and oil. But unlike those politicians, the pope apparently knows how to listen to some of the world’s top scientists who agree that climate change is real and caused largely by human activity such as burning fossil fuels. New Evidence Suggests Panama Isthmus Older than Thought. Paleo Climate Implications. Above, from BBC’s “Earth a Biography” – ideas about Atlantic circulation and it’s role in planetary glaciation may have to be rethought in light of new evidence that the Isthmus of Panama is older than previously believed. The joining of the North and South American, it has been believed, was a critical influence on ocean circulation, that, combined with the gradual lowering of greenhouse gases in the atmosphere over the last 50 million years, lead to our current cycle of glacial and interglacial periods, timed by changes in the earth’s orbit and axial tilt, (Milankuvitch forces). (Phys.org)—A team of researchers with members from Panama, Sweden, Switzerland and the U.S. has found evidence that suggests the Isthmus of Panama was formed much earlier than has been thought by most in the research community. In their paper published in Proceedings of the National Academy of Sciences, the team describes how they undertook a detailed study of fossil and molecular data of both terrestrial and marine life to create a better picture of the way the Isthmus came to be. Conventional theory has placed the formation of the Isthmus of Panama at approximately 3.5 million years ago, connecting the North and South American continents. That event marked a major evolutionary occurrence for the planet as it allowed plants and animals to cross between the two continents, while simultaneously cutting off marine life that once passed between them—it also had a major impact on worldwide weather as the water flow between the Caribbean Sea and the Pacific Ocean was stopped. In this new effort, the researchers report that they have found evidence that shows the Isthmus was formed in a stop-and-go manner that began as far back as 20 million years ago. To come to this conclusion, the team looked at fossil and molecular data collected from specimens found on both ends of the Isthmus as well as specimens that came from the sea. They claim their analysis shows that migrations between the two continents started much earlier than has been thought and that there were periods where such migrations were halted which meant the Isthmus had been covered over by water for a time, again, before rising to finally form the land mass we have today. Species passed between, the two continents, they report, at a reasonably steady pace, up until approximately six million years ago—at that point, the migration picked up in very noticeable ways. The team plans to continue their research, looking for answers to such questions as to why it appears mammals took so much longer to migrate between the two continents than did other organisms. They also believe that because many modern models used to predict future climate change are based on assumptions from the past that include the Isthmus forming much more recently than it really did, some changes are going to have to be made to them. Below, my recent vid on newest findings about a slowdown in Atlantic Circulation – “Nasty Surprise in the Greenhouse”. “You Have to Control Yourself”. 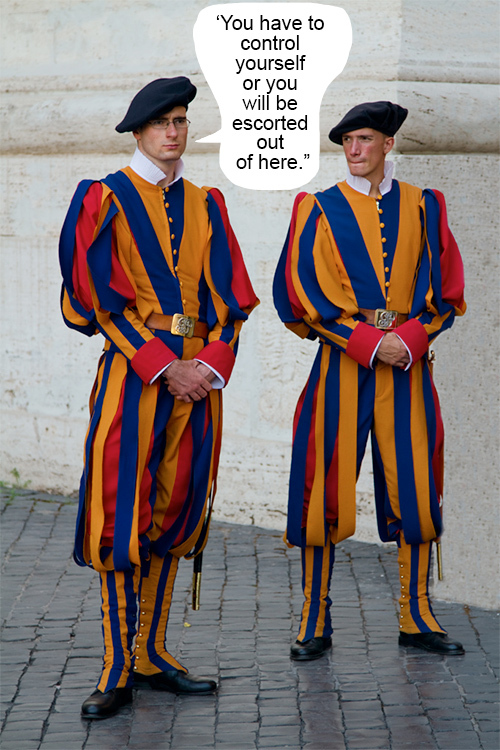 Vatican Impatient with Ignorance from Deniers. Two prominent British climate change sceptics travelled to the Vatican seeking to convert the Pope to their cause – only to be interrupted by “papal heavies” half-way through making their point. Viscount Monckton of Brenchley, a hereditary peer, and James Delingpole, a right-wing commentator, were in a group that attended a papal climate conference ahead of Pope Francis’s eagerly awaited climate change “encyclical” – a letter to clergy in which he is expected to advocate action against global warming. They are attending the summit in Rome with scientists from the Heartland Institute, a conservative think-tank backed by the US philanthropist Charles Koch. Climate sceptics and US conservatives are concerned that the Pope’s letter could lend further credibility to the overwhelming scientific consensus that global warming is real and caused by human activity. But Mr Delingpole complained that not everyone was getting a fair hearing. “Papal heavies shut down an awkward question at a Vatican press conference,” the former Daily Telegraph columnist said of a press conference at the summit, hosted by the UN Secretary-General, Ban Ki-Moon. Mr Delingpole said that Marc Morano, the founder of the sceptical Climate Depot website, tried to ask Mr Ban if he had anything to say about Heartland’s mission. “Before he could finish, the conference hosts interrupted to ask which organization he worked for, then directed the microphone to a more tame questioner, while a secretary guard came over to mutter in Morano’s ear ‘You have to control yourself or you will be escorted out of here’,” Mr Delingpole wrote on his blog. Having met and interviewed Dr. Katharine Hayhoe a number of times, I gotta say, if you don’t like Katharine Hayhoe, you don’t like people. She handles herself flawlessly here, at a special convening of the Austin, Texas, City Council, devoted to Resilience and Disaster planning. Dr. Hayhoe gave a nice short synopsis of what we know about weather extreme trends, and possible impacts on the Texas area – and a science denying Council member took strong exception. I may post Dr. Hayhoe’s presentation later in the week, – it is short and worthwhile. For today, I’ve posted her “Climate Change Elevator Pitch” below the fold. Our climate is changing because of human activity. Most scientists, including Katharine Hayhoe, an atmospheric scientist who studies climate change, agree with that statement, although some do not. Hayhoe, a professor and director of the Climate Science Center at Texas Tech University, was one of several speakers at Monday’s City Council briefing on resilience. After Hayhoe’s presentation on global warming as it affects Austin, District 6 Council Member Don Zimmerman took out his anger on the scientist over government involvement in trying to control climate change. After the briefing was over, observers reported that Zimmerman berated Hayhoe about her views as she was leaving the Council chambers.